Kashyap's response came after a Twitter used tagged him in a post saying the filmmaker had shared with her that he is planning to reveal the stories of Chhabra's "misogynistic ways". 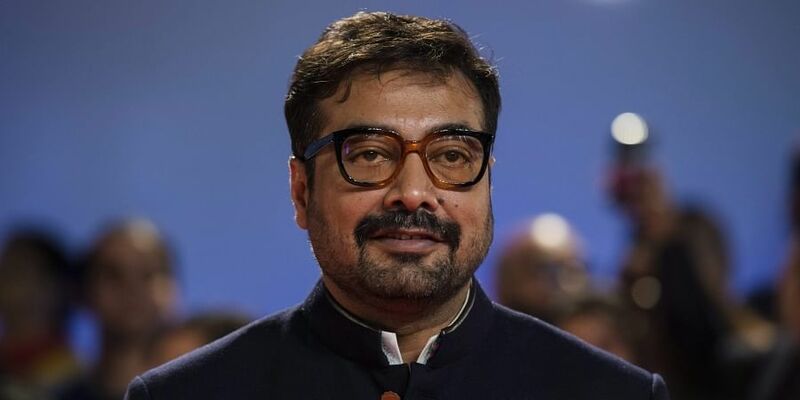 MUMBAI: Filmmaker Anurag Kashyap has distanced himself from his "Gangs of Wasseypur" casting director Mukesh Chhabra, who has been accused of sexual harassment, saying he had "cut-off" ties with him way back. "So @anuragkashyap72 told me recently that if no one speaks out about @CastingChhabra and his misogynistic ways he will. He also said he has cut off all ties with Chhabra. Im holding you to this @anuragkashyap72 . Waiting. #metoo #timesup," the user wrote. In his reply, Kashyap said he does not have any evidence of misconduct against the well-known casting director. "I neither have any #MeToo stories nor evidence about mukesh Chhabra. I cut-off ties with him for lot's of reasons related to casting and reasons that I don't feel the need to put out in public domain," he tweeted. I neither have any #metoo stories nor evidence about mukesh Chhabra . I cut off ties with him for lot’s of reasons related to casting and reasons that i don’t feel the need to put out in public domain . Kashyap has recently been under fire for inaction in Vikas Bahl sexual harassment case. Last year, a woman employee at Phantom Films, which had Bahl as one of the partners alongside Kashyap, Vikramaditya Motwane and Madhu Mantena, had levelled allegations of molestation against Bahl, who she said behaved inappropriately during a trip to Goa. In a recent article in HuffPost India, the woman has reiterated the allegations, sharing further details about the incident. According to the report, in October 2015, the woman reached out to Kashyap and detailed her experience, but no action was taken while Bahl continued to harass her until she finally quit the company. Kashyap said he was "ill-advised" in the matter by his lawyers. Apart from "Wasseypur" series, Chhabra has done casting for Kashyap's "Ugly" and "Bombay Velvet". In a latest report published on Mid-Day, four aspiring actors have accused Chhabra and another casting director Vicky Sidana of harassing them during at the audition process. Chhabra has denied the "unsubstantiated wild anonymous allegations" in a letter posted on his Twitter handle. "It is very unfortunate that years of hard work and building is been muzzled with a series of unsubstantiated wild anonymous allegations. To put it into perspective, we haveana ICC committee put into the place for years and we could have appreciated if the complaint received could have been forwarded to the said committee for probe and investigation," the letter read. "This is a clearly motivated piece and we deny any incident as alleged took place," it further read. Chabbra is known for working on films such as "Dangal", "Rockstar", "Shahid" and "Kai Po Che!" among others.